The love goes round on Valentines. Giving gifts has been a thing for some time but what now? Chocolates, socks, flowers, the same old thing never seems to bring the excitement anymore. How about giving something made with love this time? Let’s spread some love to our loved ones on this celebration with these cute, simple and memorable DIY ideas! 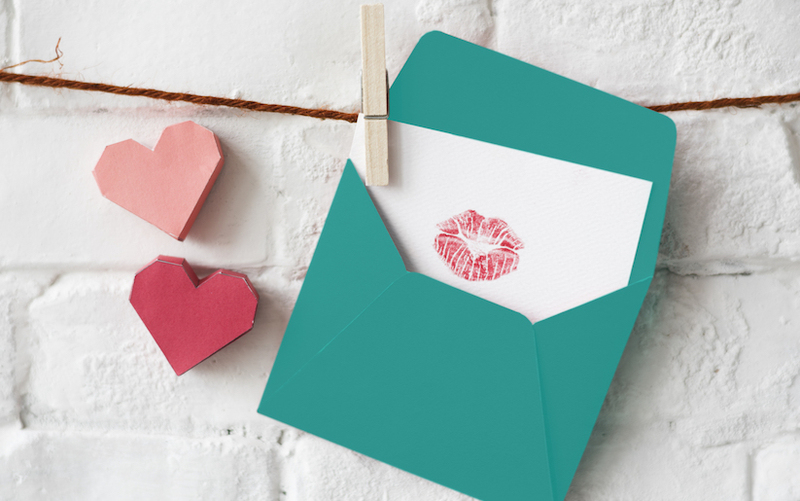 These ideas are cool for as Galentine’s Day project with your girlfriends as well! Loving a mystery-filled kind of gift? 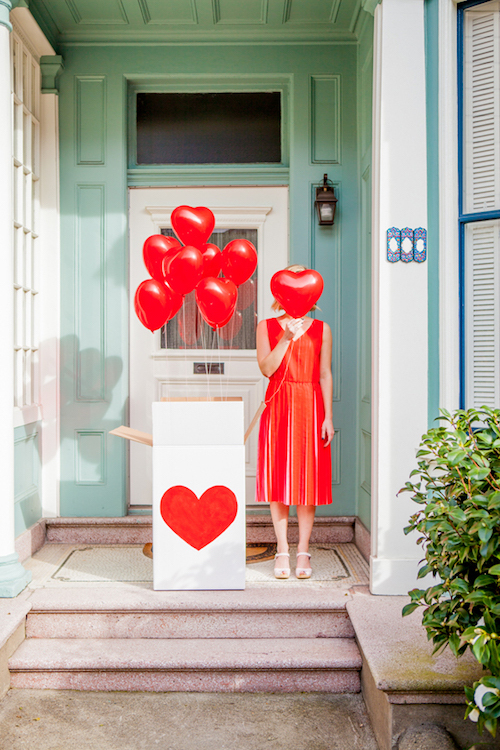 This giant surprise box filled with heart-shaped helium balloons is surely gonna leave great memories to your significant other or friends. Place it on his or her doorstep and ring the bell. 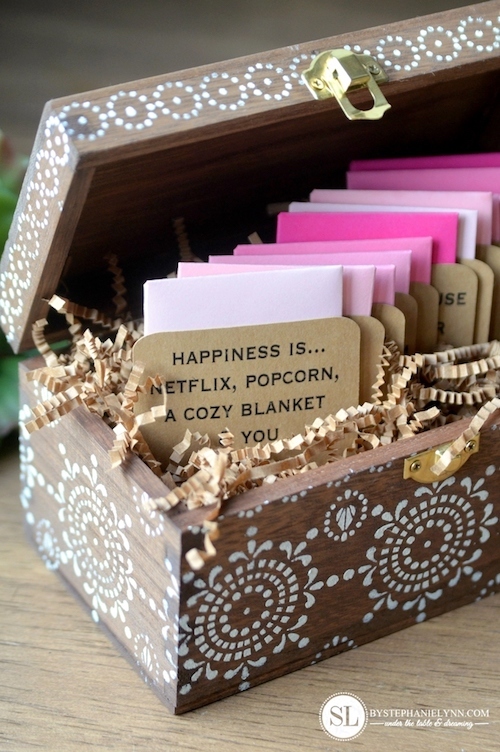 I’m pretty sure the first word they would utter as they open the box is awwww..
A simple and easy gift yet produces big impact! I have so mushroom in my heart for you. 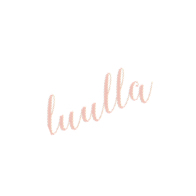 Having lots of puns and wanna get them across in a unique way? 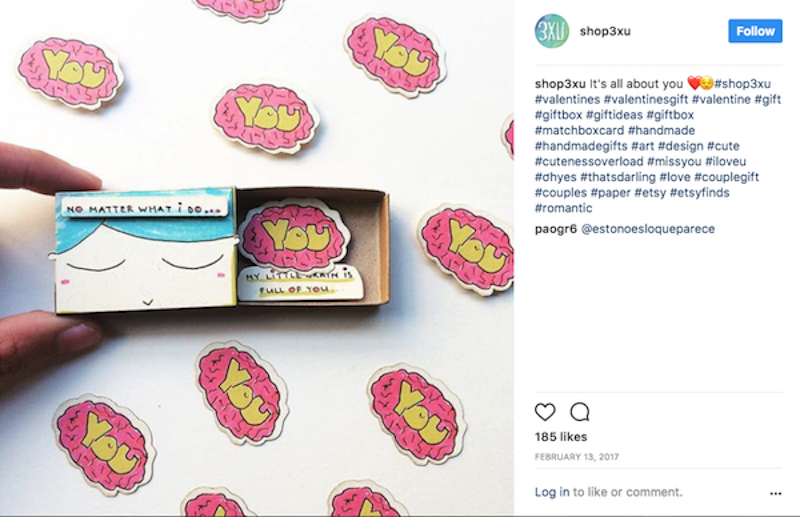 Try making these matchboxes messages that are so adorable and melts the hearts of anyone the moment they slide to reveal it. 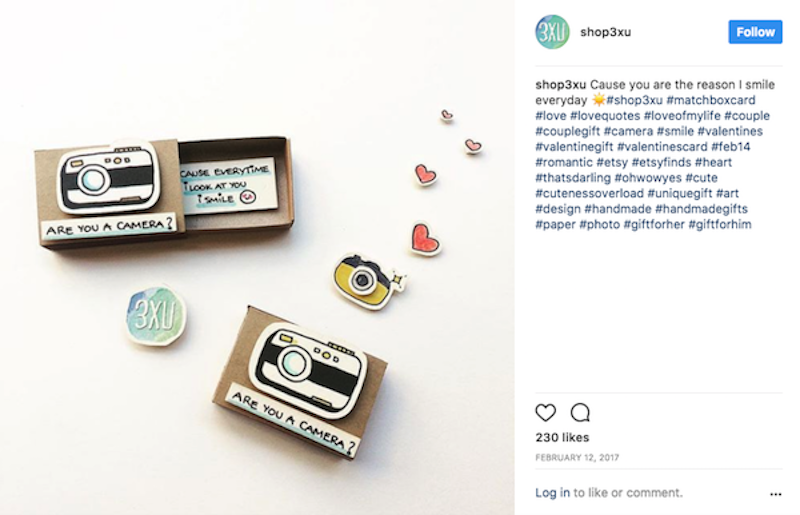 Get gifts your loved ones would love and present them in a unique way just like this. 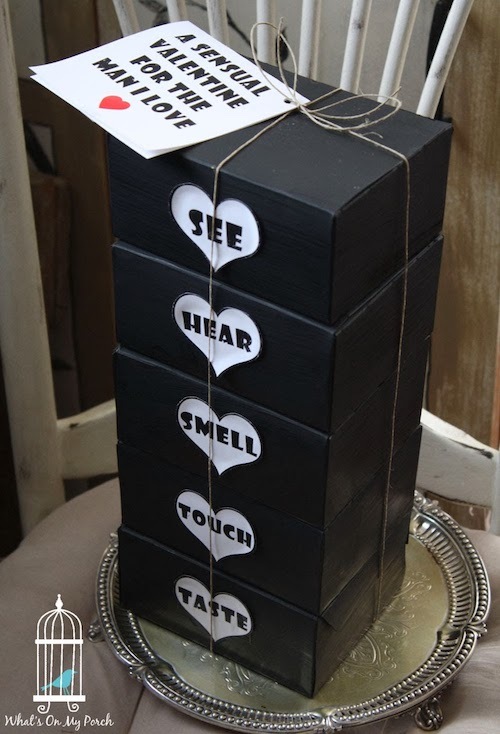 Instead of having them wrapped in oh-so-chic wrapping, have them categorised into the 5 senses for some mystery – see, hear, smell, touch and taste. For “see” you could get movie tickets or sunglasses, “hear” – CDs, a recording, smell – perfume, deodorant, “touch” – cuddly bear, “taste” – coffee, tea, candies, chocolates. Just be creative! This is absolutely a tea-riffic idea to warm the hearts of a tea lover. 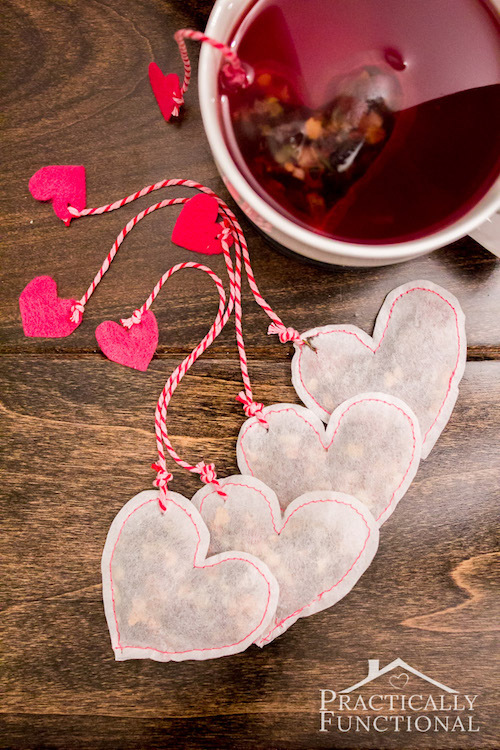 Instead of buying them a box of their favourite tea, customise it and make it into a heart-shaped tea bag that diffuses your love into it. If you love to have the time of your life during your bath, bath bombs would be a perfect gift. Making bathing a fine art with bath bombs. Create that sizzling effect when in contact with water, just made the entire bathtub magical. 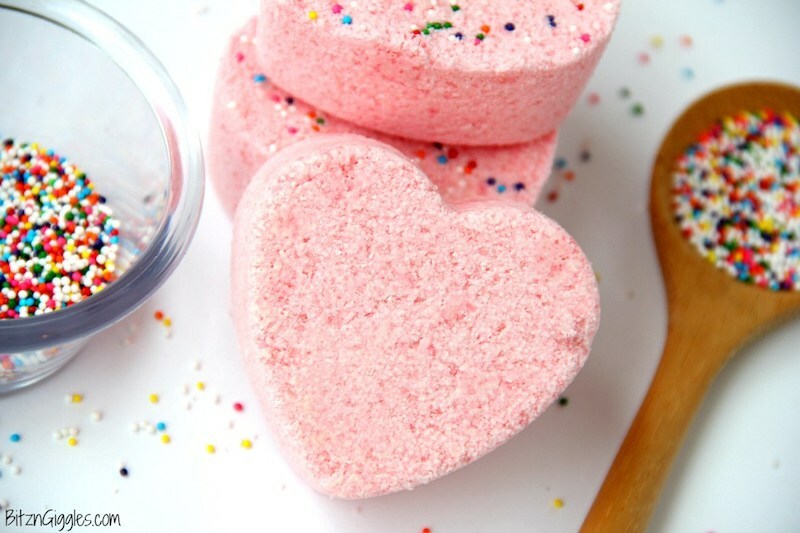 Getting bath bombs may cost you a bomb, so why not make them yourself. It’s real simple and easy! 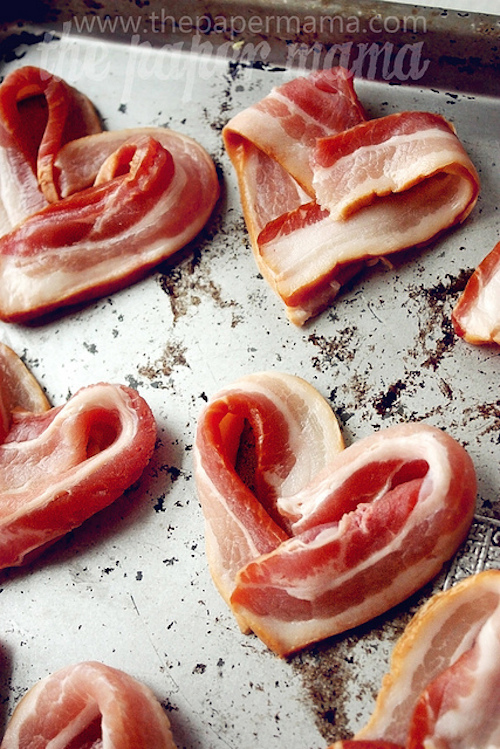 This bacon hearts is for sure not bacon-ing his or her heart. Get it? Get it? If gifts are not your bae’s love language, why not channel your love to food. Make them a lovely breakfast full of love even with the simplest bacon and egg. 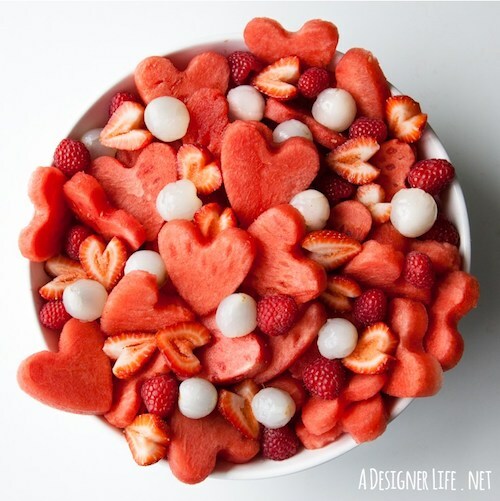 If you can just have them all in hearts, that would do as well! Memories are worth more than gold. 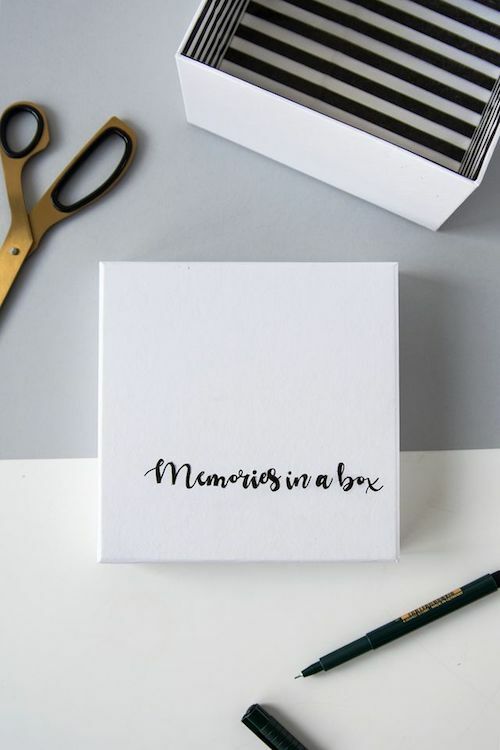 Collect memories may seem too abstract, collect them with things. Each item holds special meaning to each other that puts on a smile as he or she flips them. If this something your loved ones would treasure, go for this! Your bae loves coffee as much as you? Make them a personalised mug that reminds him or her of you every day! Simple and no artistic skills required. 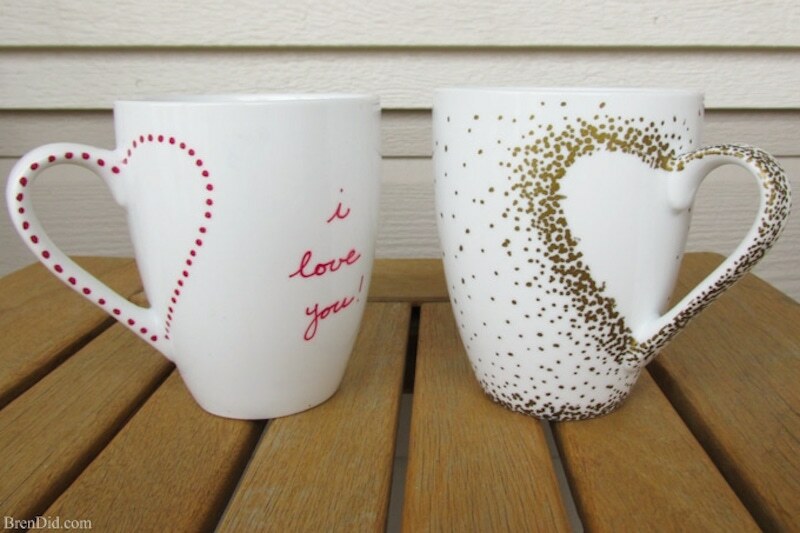 You only need sharpie marker pens to decorate the mug with love! Running out of ideas for dates seem common especially when both of you have been stuck together for several years. Sometimes you come across one yet it slips off the mind when work piles up throughout the year. 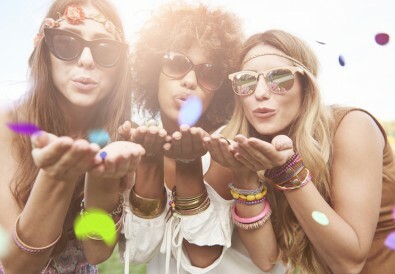 So let sparks fly again with this 12 pre-planned date ideas. Simple activities to do together and to look forward to each month. 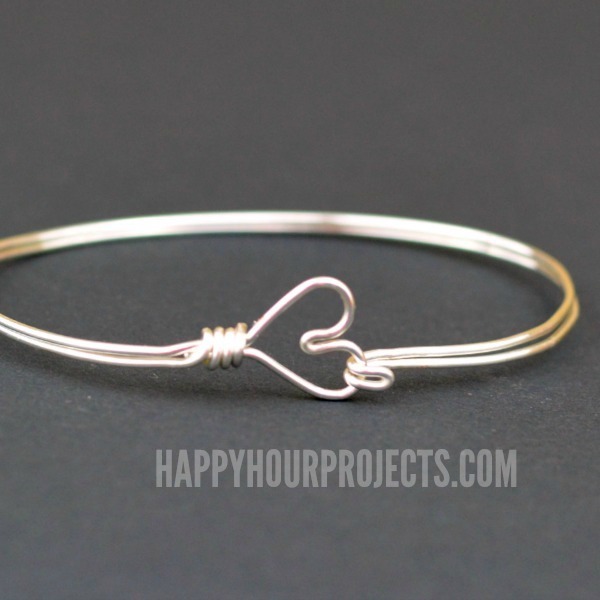 Secure the hearts of one another with this simple DIY wire bracelet. It would be such a meaningful gift even it does not cost that much, crafted with your own hands for your loved ones. It all the heart that matters. 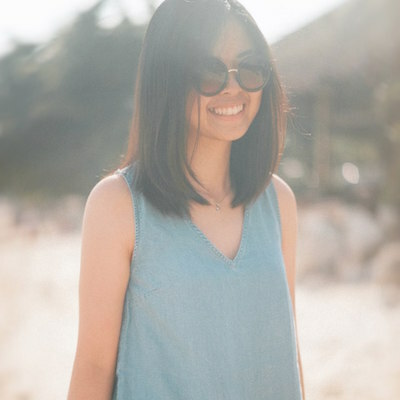 you can also wear it as a couple thing! 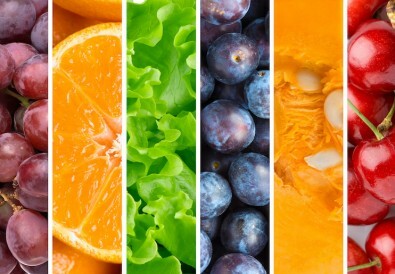 Try them now! These are some of the ways to say I Love You. Feel free to share with us how did you do?